DUG Insight User ManualFrequently Asked QuestionsFrequently Asked Questions PetrelHow do I manually remove the Petrel Link? 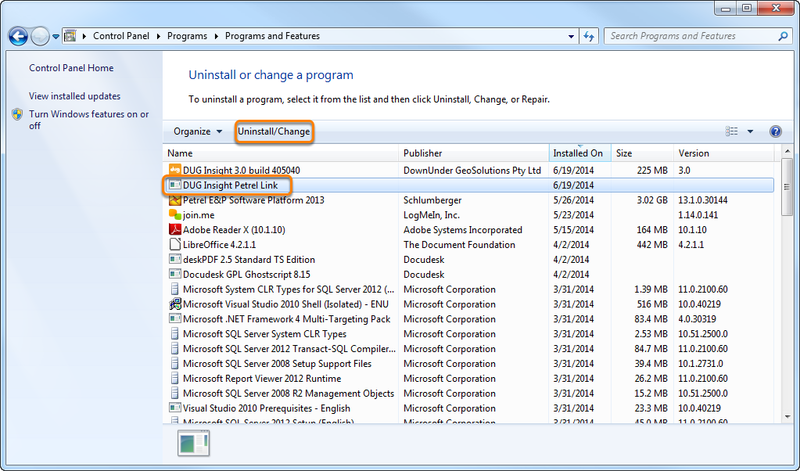 Newer versions of Insight are bundled with a compatible version of the Petrel Link during installation. If you already have the Petrel Link installed for an older version, that version will no longer work and needs to be manually removed before you install the new version. 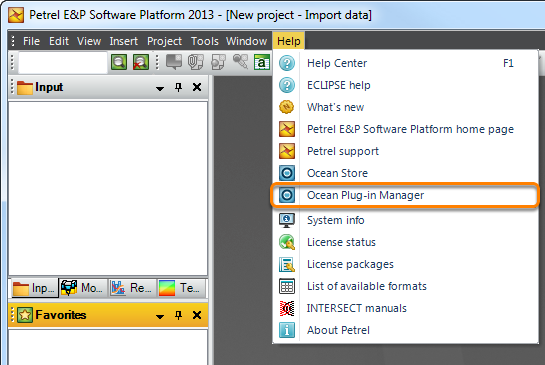 You can uninstall older versions of the Petrel Link manually from your computer's Control Panel or via Petrel's Ocean Plug-in Manager. From your desktop, open the Start Menu and select Control Panel. In the Control Panel, click Uninstall a program under Programs. Locate the DUG Insight Petrel Link and double click to begin uninstalling. Alternatively, select the link and click the Uninstall/Change button above the list of programs. 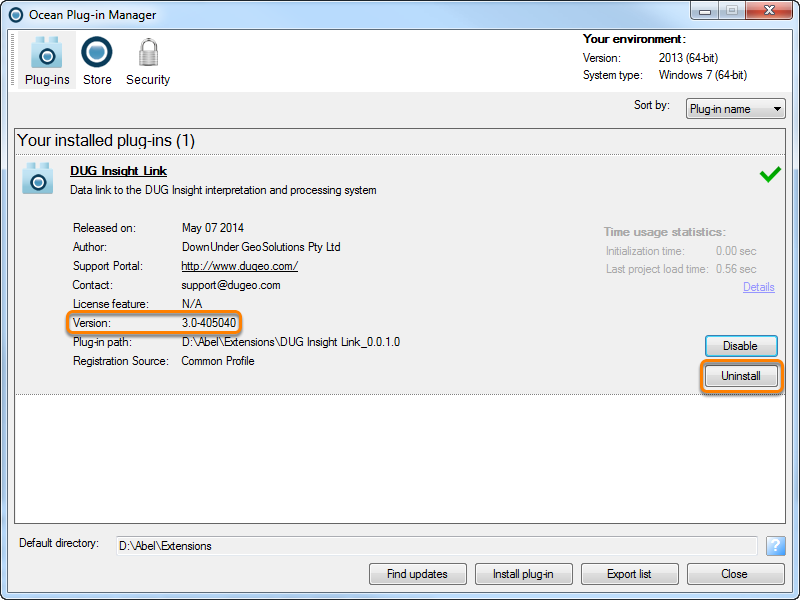 In Ocean Plug-in Manager, you should see the DUG Insight Link in the list of installed plug-ins. Click on DUG Insight Link to expand the plug-in. Check the version you would like to remove and click Uninstall. Prev: How do I export polygons from Petrel to import into Insight?